Sometimes it's really the little things that make all the difference. My best friend recently lost someone very important to her, and I've had her on my mind lately. When my grandfather died last year, it tore me apart from the inside out; losing my father figure was devastating to say the least, but I cherish those moments that we had between just the two of us every time I think about him. I can only imagine what my friend is going through, though. Grief is different for everyone. With that said, as her friend, I want to do what I can to try to brighten her day and remind her how much she is loved. 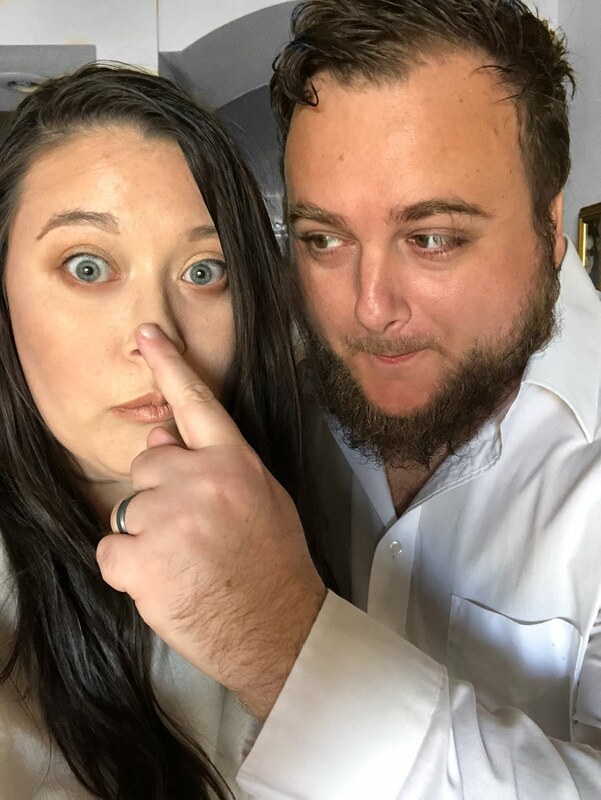 Today, I'm sharing the 'thinking of you' gift basket I gave her and a few tutorials for some of the homemade items I included in her basket. 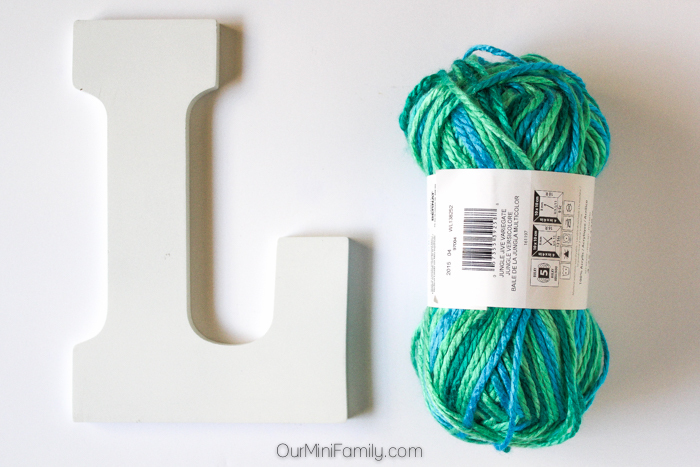 I've seen this project with the yarn-wrapped wooden letters all over Pinterest, and I've been wanting to give it a try on my own. For my project, I used: a large wooden letter, some multi-colored yarn, scissors, and a hot glue gun. Use a hot glue gun (or your preferred adhesive method), and attach the start of your ribbon to the back of your wooden letter. Make sure the first piece of yarn is attached good and well before you begin wrapping the rest of your yarn around the letter. Wrap over and over again until the letter is completely covered in yarn. For those tough letters with spacing in the middle, you can use scissors or a paper cutter to trim the yarn; be aware that when you cut the yarn it will loosen and you will need to adhere the desired yarn back onto the letter with some more glue adhesive (e.g. the space in the middle of the L required cutting out the space with scissors, and then glueing the "L" yarn back down). Sometimes the simplest of decorations are the cutest, and that is definitely the case with this ribbon-wrapped, wooden gift basket. I bought a nice white and silver tulle ribbon from Walmart for my decoration. 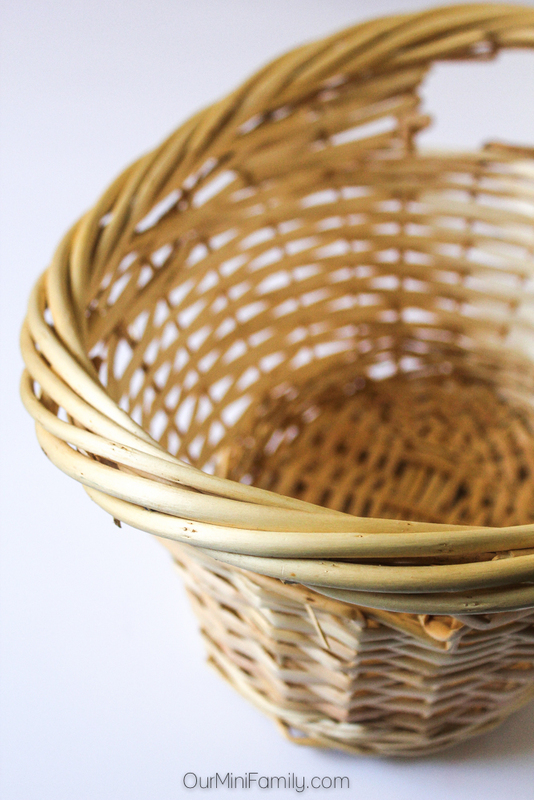 To decorate the basket, start on one side of the basket and work your way around to the other. Simply tie a knot on one handle of the basket, and then weave the ribbon through the holes in the basket all the way around until you reach the other handle. 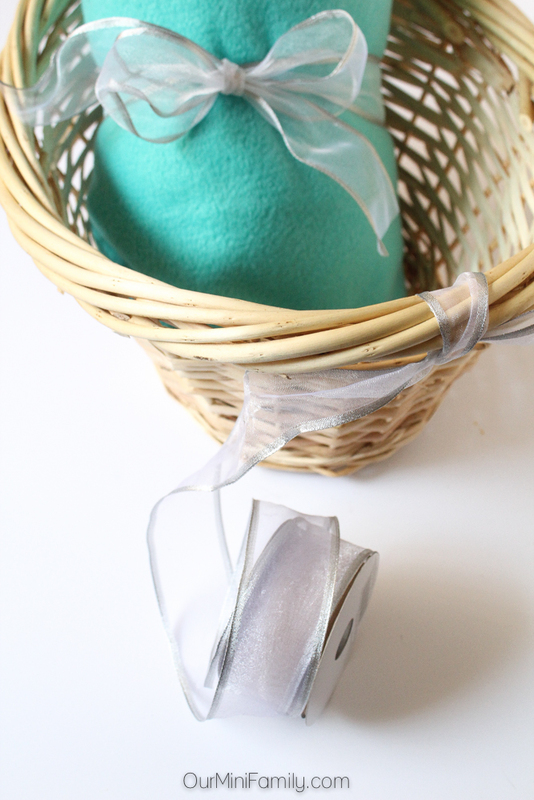 Once you reach the other handle of the basket, tie another knot, and then cut the ribbon. That's it! Homemade cards are a wonderful gesture no matter what the occasion may be. 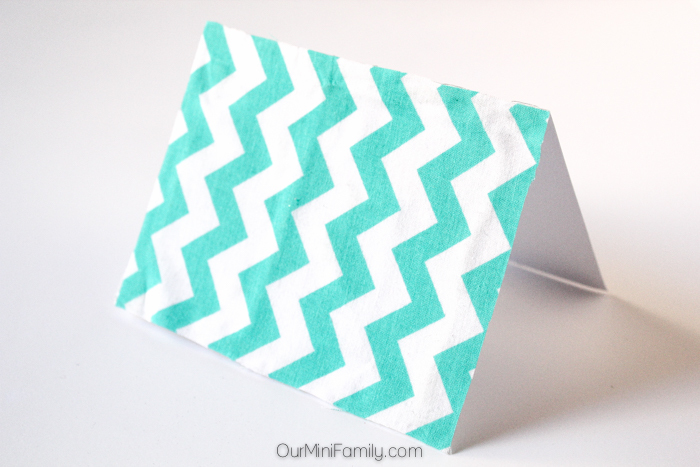 To put together the card I gave my friend in her 'thinking of you' gift basket, I used: a small teal chevron fabric swatch, a plain card, some adhesive material, and some chalkboard stickers (that I found in the scrapbooking section at the craft store). I trimmed the fabric down to the size of the front of the card, and then I used some glue to adhere it to the front. I smoothed out the glue/air bubbles by rolling a glass bottle over the top, and once it was dry, I attached the chalkboard sticker to the front of the card. Do you like to spread a little goodness whenever you can? I try to make the world a little bit brighter every day--goodness to greatness! 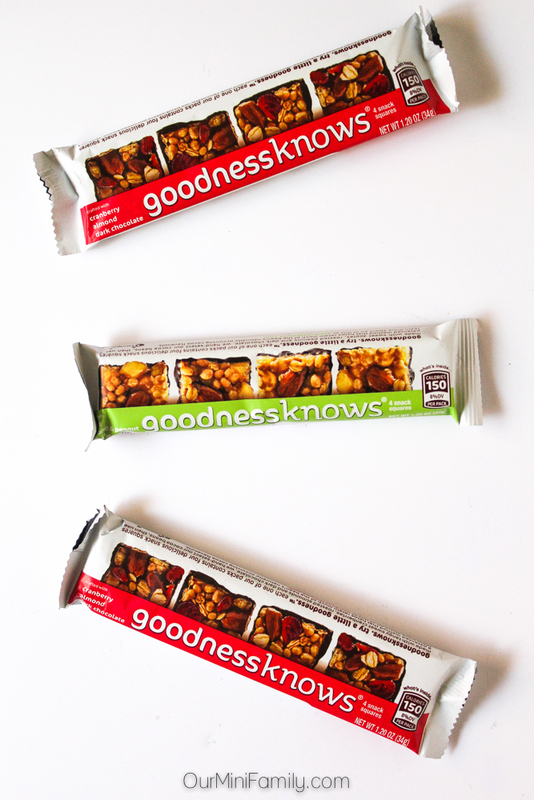 Share your goodnessknows® photo or quote for a chance to win a variety of prizes. In my friend's basket, I wanted to include a few other items to help comfort her. My best friend loves lighting candles in her house all the time, so I know she will appreciate having a fresh candle around. With the weather cooling down here in Phoenix, I thought she might enjoy this comfy new throw blanket. Also, I wanted to include a snack in there for her, so I threw in some goodnessknows® snack squares, too. These goodnessknows® snack squares are made with real fruit, dark chocolate, and whole nuts--these bite-sized portions are perfect for a small indulgence when you're craving something sweet. 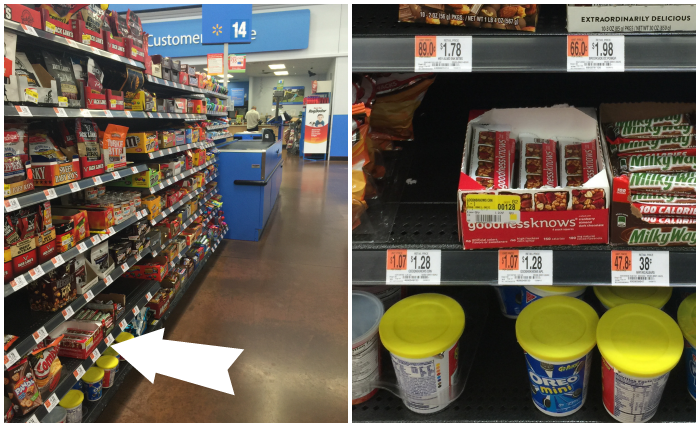 I bought the goodnessknows® snack squares for my friend's basket by the register at my local Walmart. Do you have a lady in your life who would appreciate a 'thinking of you' gift basket? The holidays can be a really stressful time, and sometimes us ladies just need to feel appreciated. Even the smallest gestures mean a lot. I bought her some goodnessknows® Cranberry, Almond, Dark Chocolate and goodnessknows® Apple, Almond & Peanut, Dark Chocolate (it also comes in Peach & Cherry, Almond, Dark Chocolate). Download your $0.50 coupon to save on goodnessknows® snack squares! I am sorry to hear about your friend and it is such a lovely gesture for you to make. We need more selfless people like you. I hadn't thought of it until this project either! Such a small detail that makes a huge difference! I love gifting for no special reason! Such a cute and fun way to show kindness! Very nice of you to put together a basket like this! It's so much more personal. Such a thoughtful gift. I love all the personal touches. It really shows how much you care for her. What a great gift to give. THanks for the tutorial! 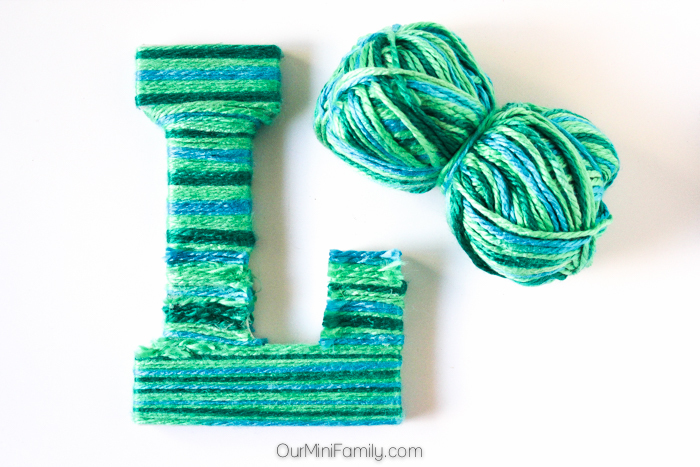 I love that yarn wrapped letter! It is so simple and cute! I know my friends would love this gift basket. I will have to remember this next time I need a get well soon gift! What a sweet friend you are to be so kind. 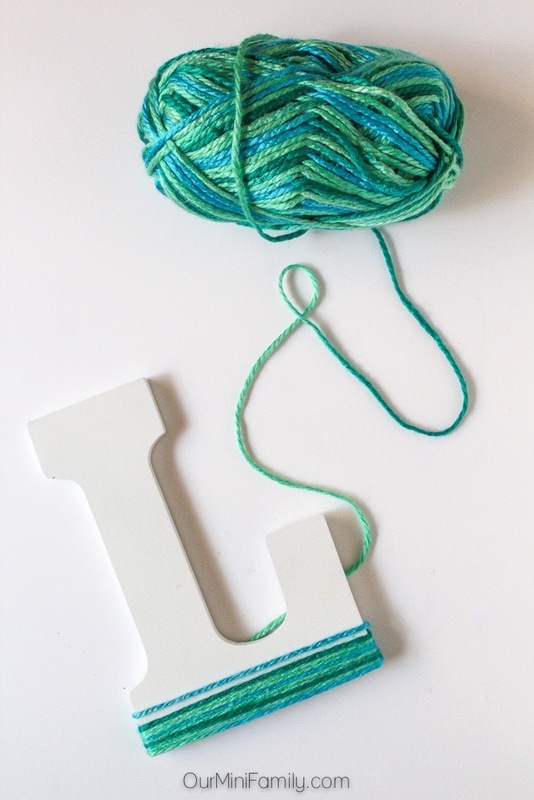 I love the yarn wrapped letter as I have made a few myself & they are so fun aren't they? I love the letter! So cute and clever! I also just tried my first Goodnessknows bar - loved it! That's awesome, Stacey! I love the goodnessknows bars, too! 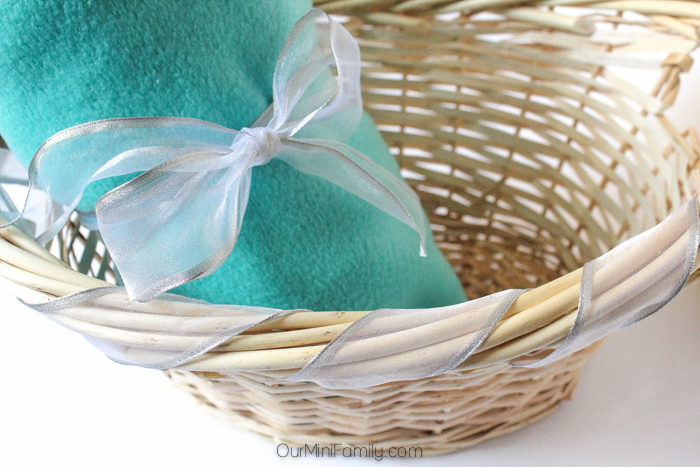 This basket is a such a cute idea. I love the letter. 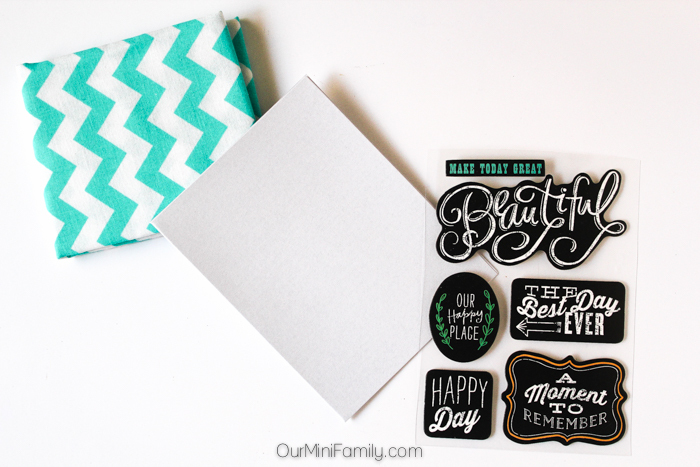 Great gift idea & the letter is super cute! The simplest acts of kindness always mean the most! Great gift idea. So thoughtful of you to do this for her during her tough time. What a sweet and wonderful basket! I love knowing when someone is thinking about me! That is what I was thinking too--knowing that someone is thinking about me is always comforting! What a great basket! I love the yarn-wrapped letter and those snacks look yummy! I'm sorry to hear about your friend. Your ideas are fabulous and I hope her spirits are lifted by your thoughtful gift. 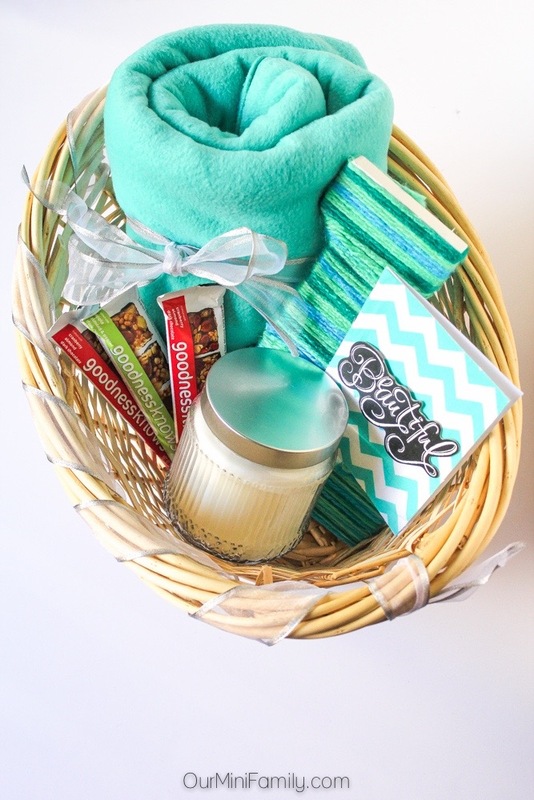 This is such a great gift basket idea!! You are so sweet for creating this. I love the yarn letter, I hadn't seen it yet! Love this! You're awesome and very talented. 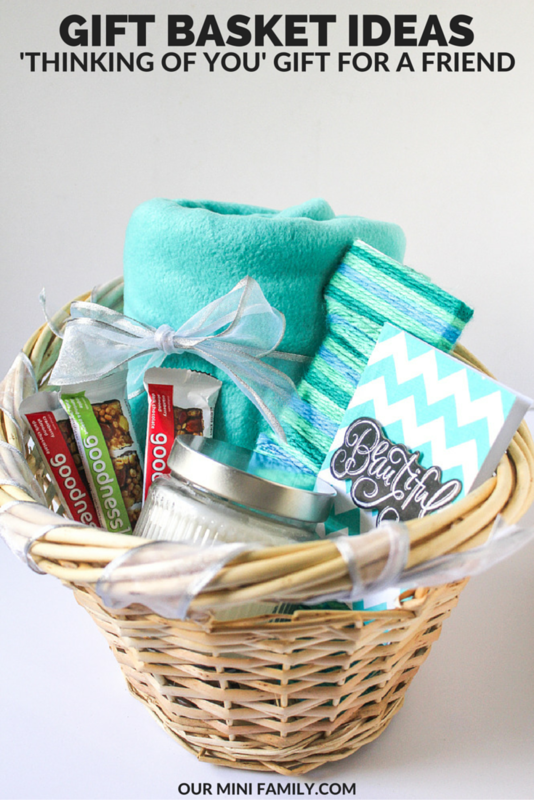 I love the dominant color scheme of this gift basket – it's very pretty. I recently tried the GoodnessKnows bar, and it was very tasty. 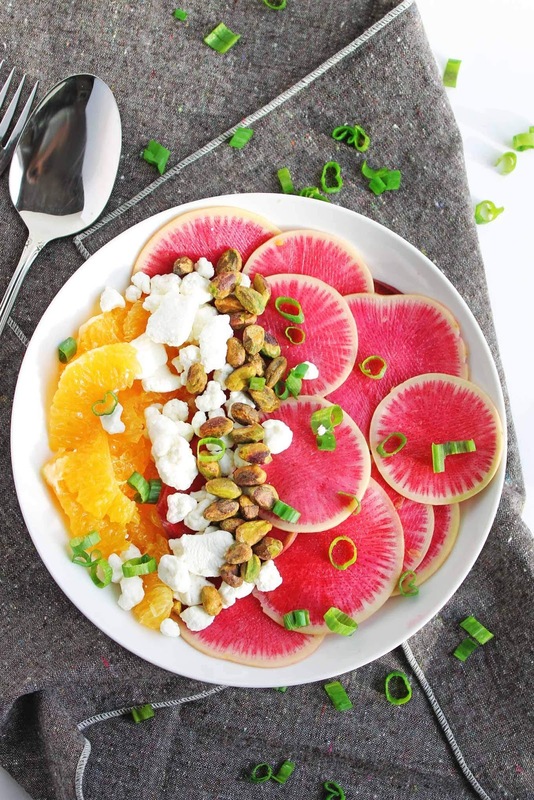 I love how they come in small squares so you can save some for later….or share. Thanks! We both love teals and blues/greens, so I thought it was a good color. And yes, gotta love the goodnessknows bars! So tasty! Ok I'm totally loving what you did with the L!!!! I need to make one for my daughters room! Thanks Samantha! I just try to spread a little goodness wherever I can! I hope this lifted your friend's spirits!